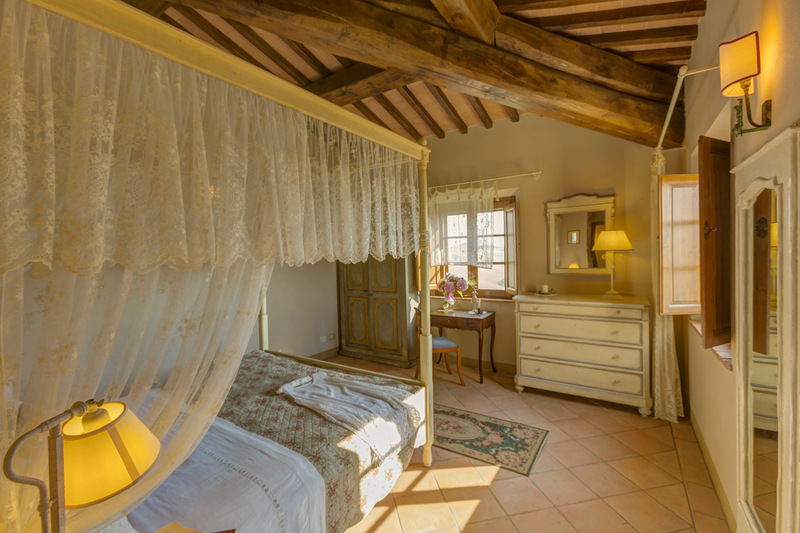 A cozy and intimate luxury room in Tuscany. The view of Villamagna, a small medieval village, will greet you in the morning together with the surrounding pure nature countryside. 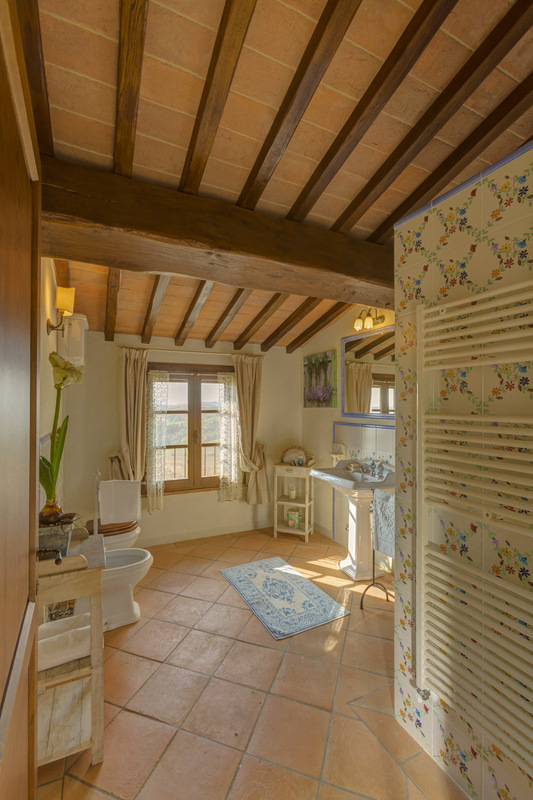 From this room you can have a perfect sight of the famous vineyards and cypress trees. Waking up in the excellent and comfortable four-poster bed is so sweet that you can’t describe it in words. 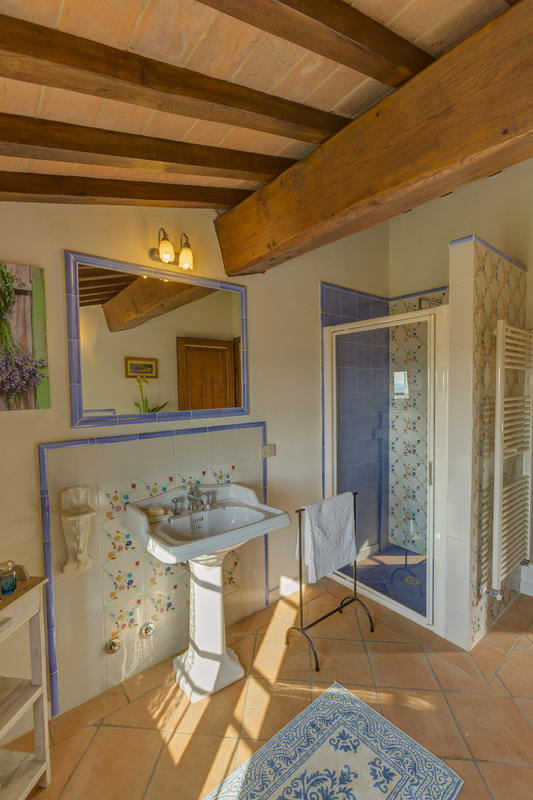 Discover a welcoming, romantic nest, elegant and refined in every detail, starting with the amazing beams made in chestnut wood to the enticing pattern decorating the bathroom with shower. The furniture is nice and polished, elaborated with original materials by local artisans, the lighting offers a delicate atmosphere. A luxury room in Tuscany very spacious, where you will easily get some rest after a busy day of activities and cultural or gastronomic itineraries. Ideal for a couple, it can be also equipped for a family with children. 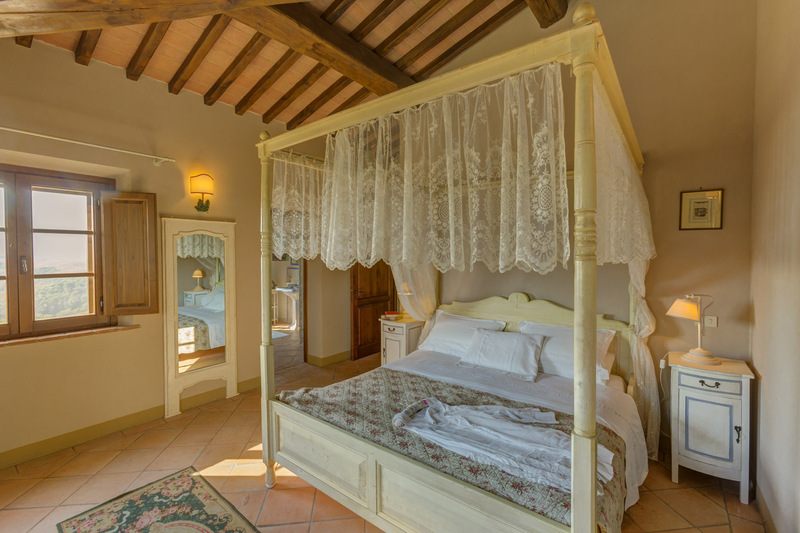 You will appreciate the peaceful calm of a unique luxury room in Tuscany. The surprising landscape you will watch open the windows, the view of Villamagna, is the “business card” of this bedroom, the wardrobe and the bed are the main actors of this warm and fascinating location.